Use the links below to browse original entries, transcriptions and analysis page by page. 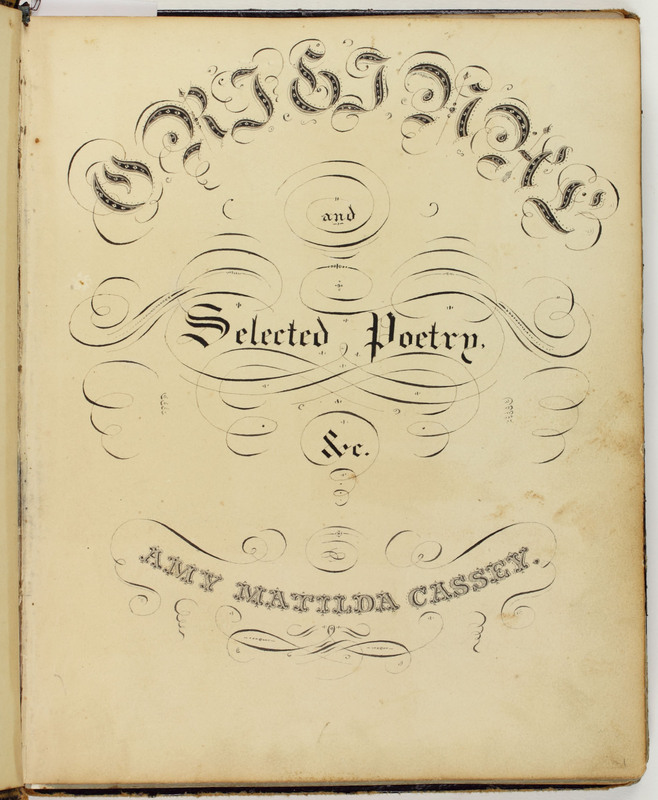 The majority of the scholarship included in this section for the Amy Matilda Cassey Album was conducted by the Fall 2013 Early African American Print Cultures class of Swarthmore Professor of English Literature Lara Cohen. Students Zac Wunrow, Richard Scott, McCleary Philbin, Stephanie Styles, Epiphany English, Casey Drubin, and Geoffrey Shepherd transcribed and analyzed the entries within a political and literary context to create entry abstracts and annotations with a focus on race and gender.